According to Ayurveda all disease starts with ama or toxin buildup which is damaging to our health. It is essential to detox our system periodically. In these pockets of natural wonder you will experience the natural effects of the Turmeric root which has been used by Indian people for centuries. Combining these effects with green tea and the Indian gooseberry helps give the tea a natural detoxifying and cleansing effect. Dating back some 5000 Years, Ayurveda helps you achieve a balanced mind, body and soul; through diet, lifestyle, herbal medicine and the physical activities of yoga, breathing techniques and meditation. Release the goodness of these incredible herb blends by infusing in freshly boiled water for at least 5 minutes. 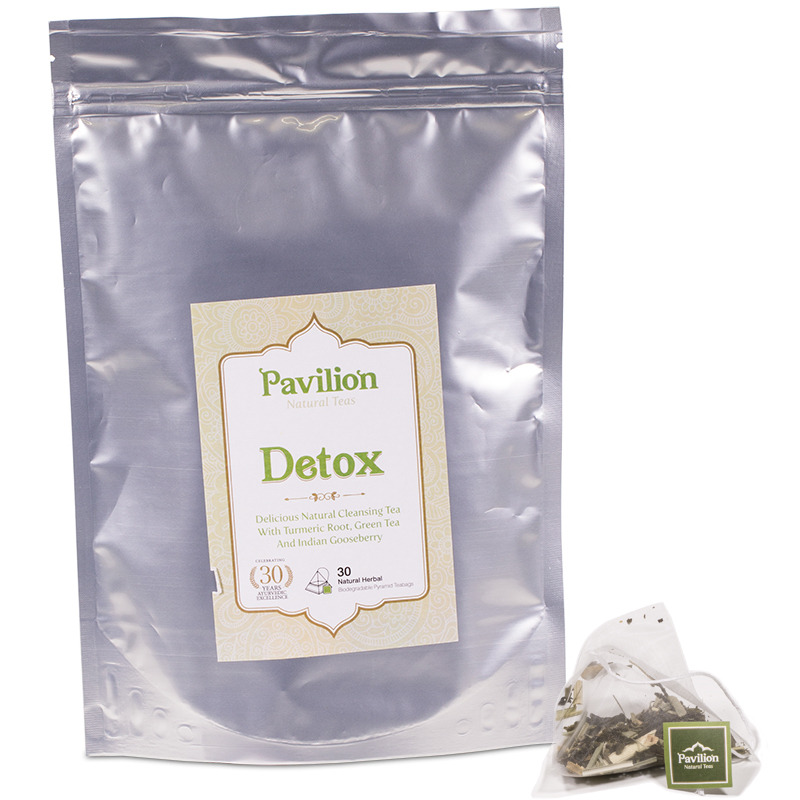 Green tea, turmeric root, fennel, Indian gooseberry, dandelion leaf, ginger, lemon peel, black pepper. * Tea bags are made of biodegradable PLA (polylactic acid) extracted from corn, made by Fuso International in Japan.